We build custom hangers and bosses to fit any and all of your equipment needs. Since we have complete design and fabrication ability in-house, we are able to custom build any combination of hangers, ears and bosses to your existing bucket or thumbs. 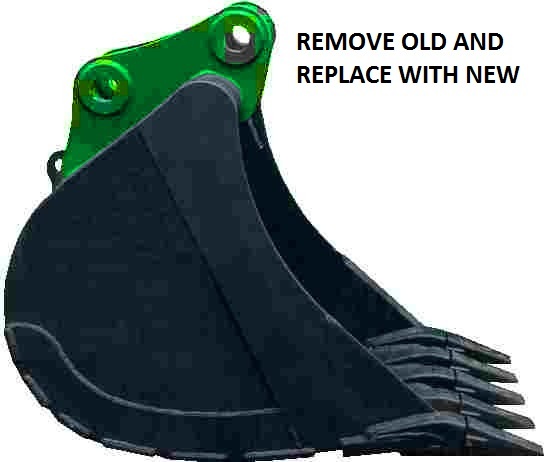 If your existing bucket is in need of repair, we can also refurbish it along with adding your new hangers, ears and bosses. There is a seemingly endless combination of ways for us to help solve your equipment needs. We have 3 simple ways to get started (1) go to our web site www.excavatingsolutions.com and fill out the easy to follow pin form. (2) send us an e-mail or (3) give us a call. We will provide you with a timely estimate and impressive turn around time to keep your equipment out in the field operating efficiently. Please view the video below to explore the revolutionary products and designs we are providing to the excavating world.